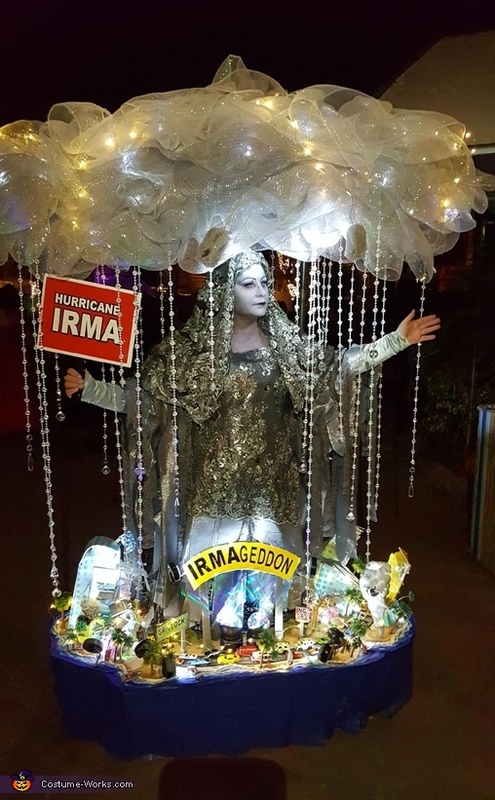 Hurricane Irma also known as "Irmageddon" worn by Kelly S. I like to make costumes that are topical and we certainly had our share of hurricanes this year! I wanted Irma to be majestic and mother nature inspired. The cloud featured light effects to simulate lightning and the city below depicted Mother Nature's power of destruction. I built it on a wooden structure with wheels so it could roll easily. Materials: wood, fabric, foamcore and lights.